SampleRadar is tipping its hat in Jamaica's direction this month, paying tribute to the reggae-derived genre of dancehall. You'll find everything you need to unleash your inner rudeboy: stick with us and you'll soon be ready to create your own bashment classic. The samples are split into five folders, each of which contains a construction kit in a specified tempo. Each kit features bass, drums, lead and other loops, while drum hits are also provided. 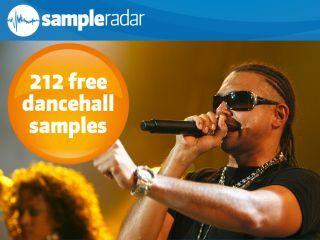 The dancehall samples are supplied in a zip file, so you'll need to extract them before you can see them. Enjoy!